New Brunswick is Canada‘s only bilingual province. Almost 30 percent of the population speaks French as a first language. Moncton, Saint John, and Fredericton are some of the most important cities of New Brunswick. It is one of Canada’s Maritime Provinces, situated in northeastern parts. This program targets prospective immigrants having skills and required experience. 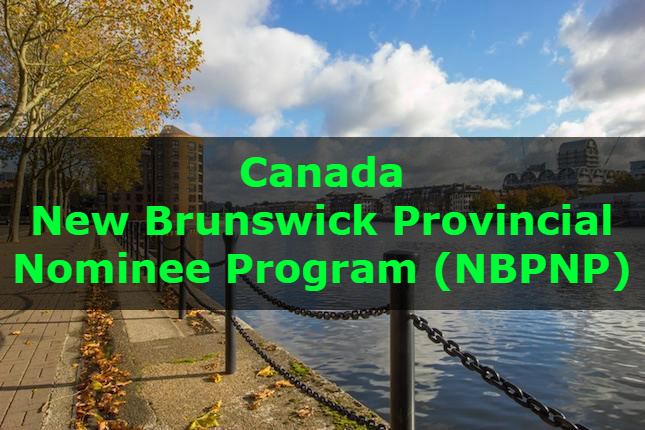 For this purpose, NBPNP issues New Brunswick Provincial Nomination Certificate to eligible applicants. This certificate is essential for foreign nationals, who are willing to apply for Canadian permanent residence. The actual processing time is relatively faster than other Canadian immigration programs. Following are the immigration categories, under which candidates may send their applications to NBPNP. New Brunswick is receiving applications under this sub-category from individuals, willing to start a business in the province. However, it is necessary to make a legitimate investment in a legitimate business. Applications under this sub-category are acceptable from individuals with proper work experience in New Brunswick Province. Such applicants must have close family ties within New Brunswick Province. Besides, some other streams, New Brunswick Provincial Nominee Program (NBPNP) is also offering an Express Entry Labour Market Stream. For this particular stream, NBPNP is planning to use the federal Express Entry immigration selection system. This is necessary to fulfill New Brunswick’s demographic and labour market needs. Express Entry Labour Market Stream works under an “Expression of Interest” setup. New Brunswick is receiving applications under this sub-category. For this purpose, individuals who hold an offer regarding a permanent or full-time job offer can apply. It is mandatory to get this job offer from a New Brunswick employer. According to an announcement, government of New Brunswick is starting a new pilot program, known as “Succession Connect”. Applicants, willing to settle in New Brunswick can succeed an established business through this pilot program.